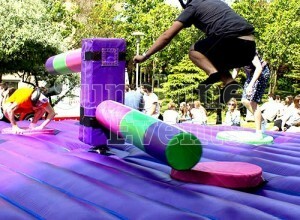 They have many names, like Bounce House, Boingalow and Brinca Brinca (that’s Spanish for Jump Jump! 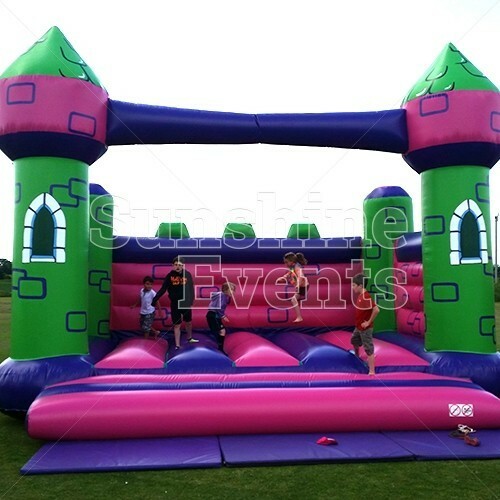 ), but we just call them Bouncy Castles. 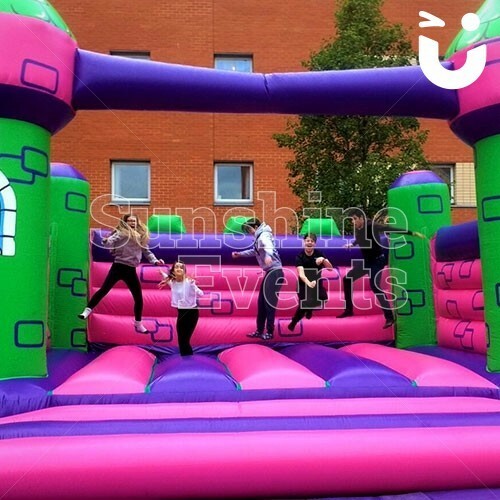 The inflatable structures so loved by children and adults all over the globe are ideal for outdoor (and some indoor) events and we have the biggest one of them all: the Event Bouncy Castle! 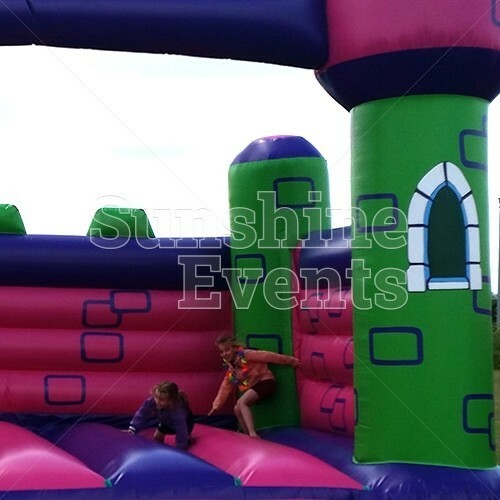 Allowing groups of up to 16 people to take part at once, this impressive 7m wide inflatable is brightly decorated in the Sunshine Events’ colours of purple, pink and green and features stone effect patterns and lancet windows to turn this huge activity into a Medieval castle. 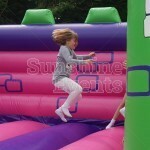 The safety mats provided on the front of the opening allow a soft exit for bouncing adults and children. 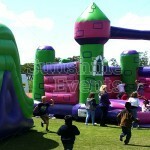 What events are the Bouncy Castle (Event) Hire suitable for? 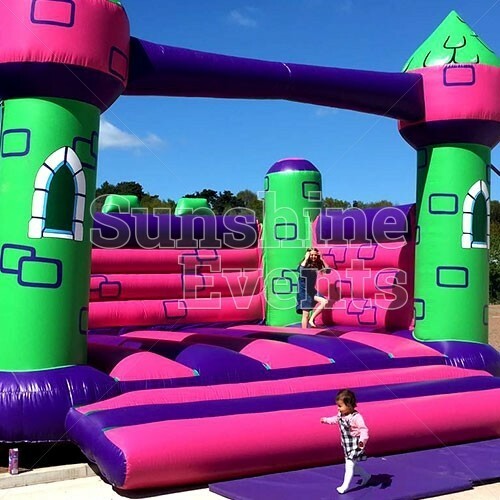 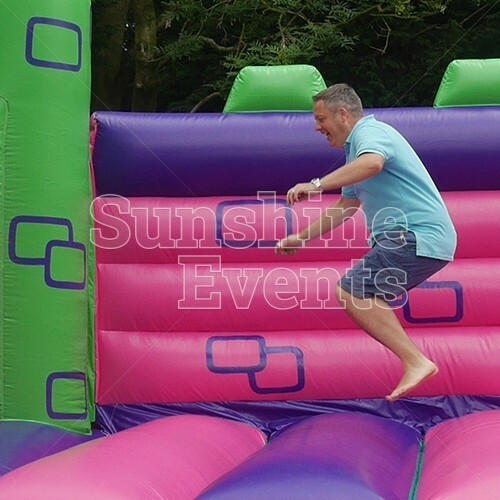 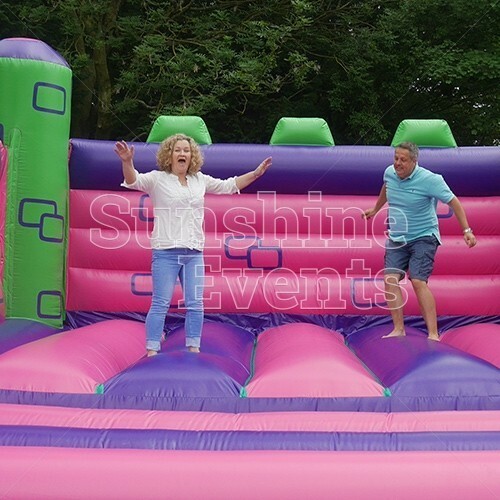 The Bouncy Castle (Event) Hire is such a classic and popular large inflatable that event organisers up and down the country are using them at all kinds of event that need to add a little bit of inflatable silliness! 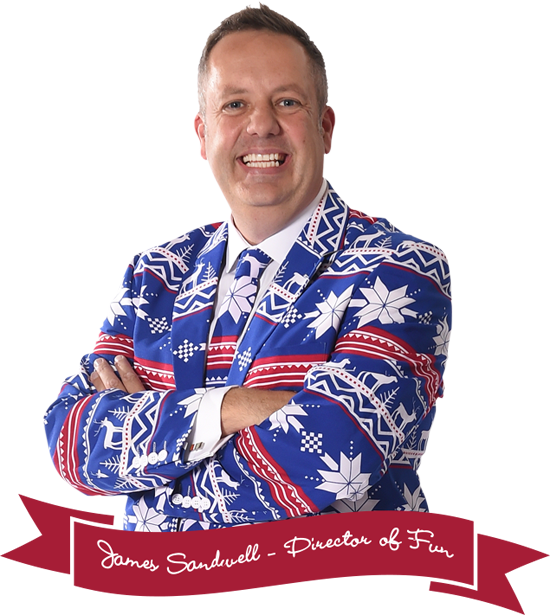 If you're planning a fun day or village fete and looking for that stand out piece to keep all ages entertained all day long, look no further than the Fun Experts - the UK's leading corporate event management specialists. 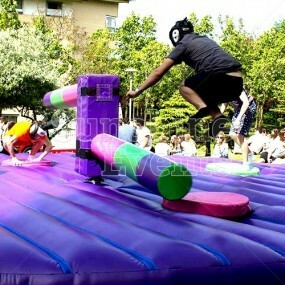 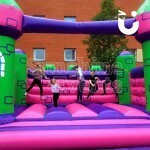 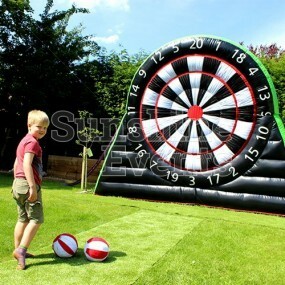 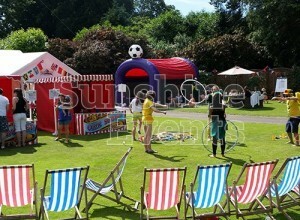 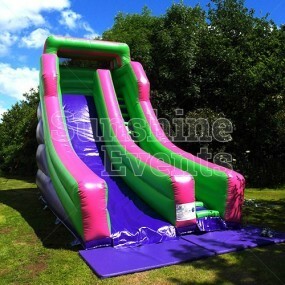 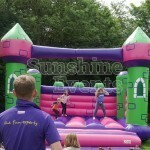 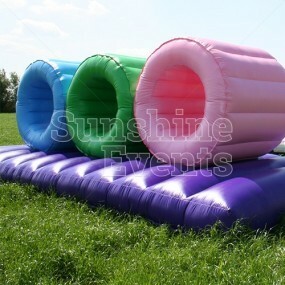 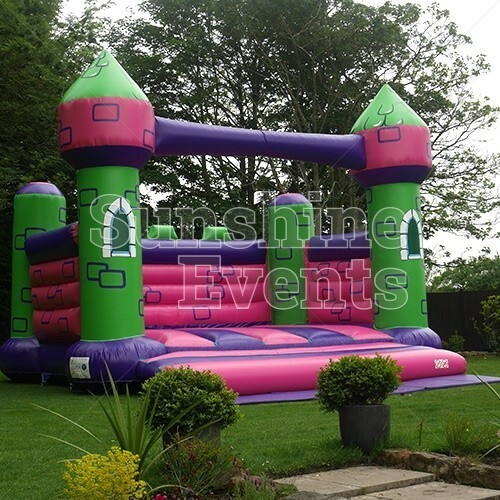 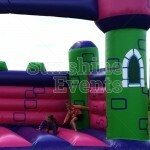 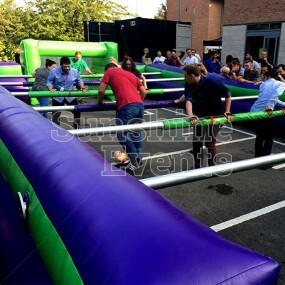 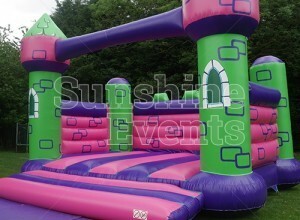 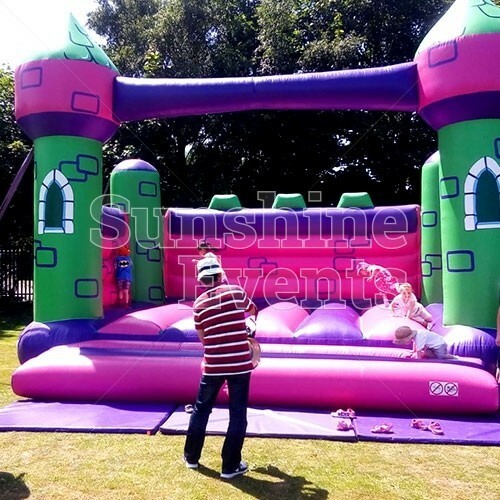 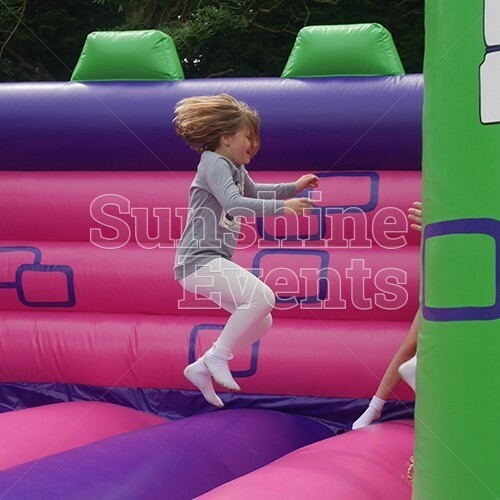 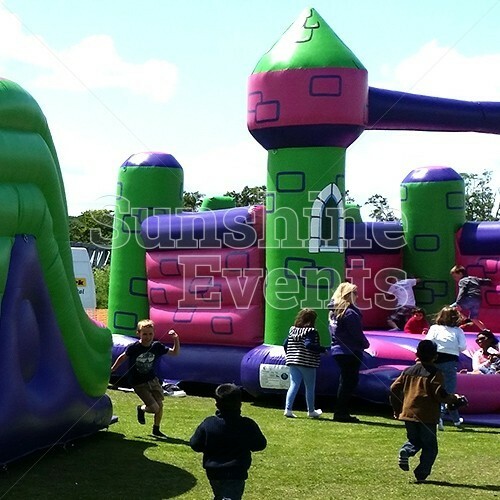 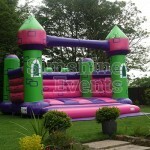 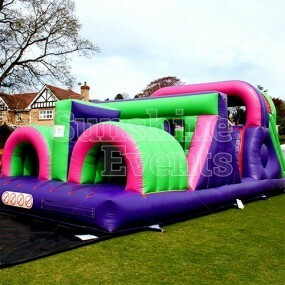 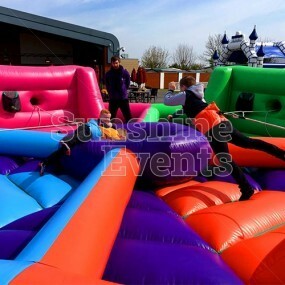 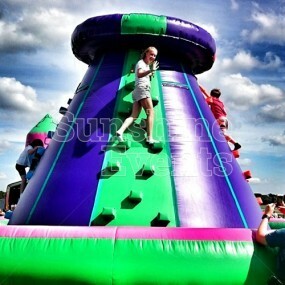 Bouncy Castle (Event) Hire has been added to your Event Quote.